Napping. One of the great mysteries of life. Why did we hate them so much as kids, yet today think about them all the time. You might not, but I sure do! Ever have those days that just don’t seem to end and all you can think about is taking a nap? For me, it is more like every day. I fought them as a kid because I didn’t want to take them, and now I fight them because I have to “be an adult” and work. Doesn’t seem fair, does it? If only we wouldn’t have fought them so hard when we were younger. Anyways, I have noticed a pattern for these “nap attacks” so I thought I would share it with you. 5:00am The alarm goes off and the day begins with a shower and dressing. 5:47am First thoughts of lying down to take a nap begin. 6:00am Out the door for my hour long commute to work. 6:22, 6:39, & 6:52am Thoughts of pulling over before my eyes close. “Head bobs” have begun and maintaining lane position is tenuous. Perhaps the back seat is more comfortable than it looks. 7:04am The busyness of the day as a school teacher begins and the desire for naps subside for a short time. 10:44am When is 3rd period over? 16 minutes, meaning a little over an hour to lunch. Should I use lunch today to take a nap with my head on my desk, or just lay on the floor behind my desk and use my jacket as a pillow? 11:23am Only 37 more minutes till lunch and nap time! 11:24am Only 36 more minutes till nap time. 11:33am Man, this is a long hour. Only 27 more minutes to an awesome, quiet nap…gotta remember to lock my classroom door when they all leave. Is that a keyboard impression on your face? 11:56am YES! It is almost time. Survive four more minutes! 12:01pm Crap! I forgot to make copies for 5th period and I have to find time to eat. Maybe if I take my sandwich to the copy room with me and eat while the machine works, I can still work in a 20 minute nap. 12:04pm Please, people, I am on a mission and can’t stop to talk. Can’t you see this as I fly by you in speed-walker mode? 12:17pm Copies are done (or other small project). The hope of a nap has faded since there is only 13 minutes of lunch left. Perhaps I should work on something for tomorrow. Maybe a nap before I go home for the day is still an option. 1:33pm Short video in class today. The room is dark, and warm. If I sit in the back and close my eyes, do you think they’ll notice my nap? “Mr. G, I need to go to the bathroom. Can I go?” Ok, if it weren’t for the interruptions I could make it work. Better not risk it. Dagnabit!! 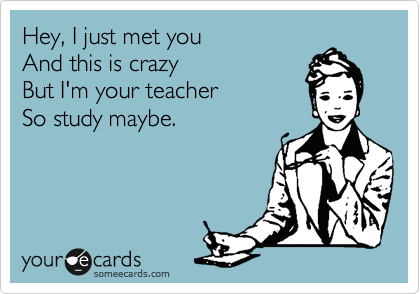 2:23pm Seven minutes ’til school is out. I can’t wait. Gonna close and lock the door. That afternoon Circadian Dip is working at full force. I may not survive. Stay upright, stay upright! 2:33pm After several minutes of end of the day questions, closing the door for a nap is impossible as students filter in to finish essays, assignments, or take tests that were missed in previous days. I should have locked that thing before class was over! 3:09pm Work, work, work! When will it be over and I can go home? 4:14pm Time to head for home. A short nap when I get home might be a good idea! 4:36pm “Head bobs” begin again. 4:47pm Guess the idea about guardrails isn’t a good idea. Naps aren’t worth the thousands in repairs needed for the car. 4:50pm Begin pinching my arm, punching my thigh, and chewing gum to stay awake. A loud radio doesn’t work, as it eventually becomes white noise in the background. Turning on the AC (or rolling down the window at certain times of the year) doesn’t work either, the cold becomes overwhelming and the hypothermia lulls you into a desire to sleep as well. 5:19pm HOME! My family is happy to see me (most of the time), a kiss from the wife, and read the mail. Desire for a nap has subsided at the moment. 5:24pm Second wind has struck. Family activities dominate the evening. 7:55pm Sitting on the couch, a brief thought of a nap comes back. However, it is close to bed time so I fight the urge, otherwise there will be little sleep tonight. 9:21pm Bed time. Not really a nap, but I’ll take it. The warm, soft bed is calling my name. DO NOT GET IN MY WAY! There you have it. My near daily battle with “nap attacks.” I am sure all of you out there have similar battles with naps. Tell me about them and we can commiserate together as we survive adulthood and responsibility, both of which don’t seem to make time for naps – even when we want to. **Post script** Whew!! That was tiring. 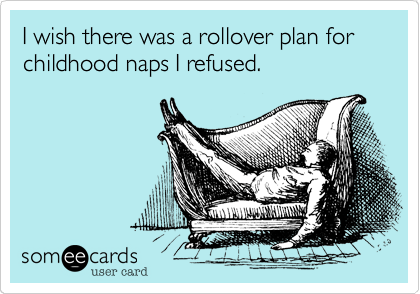 All this talk of naps makes me want to take a nap. I think I’ll go take a nap now. Happy napping! It seems that our national security people have learned a little something from the old television series, “Get Smart.” The president travels with a sort of “Cone of Silence.” Check out the link from the New York Times. Obama’s Portable Zone of Secrecy (Some Assembly Required) – NYTimes.com. Unsung heroes from WWII that sacrificed it all, even when the country they served didn’t see them as equal. What an incredible story! Had to share. Click on the link below to read the story @ USA Today. 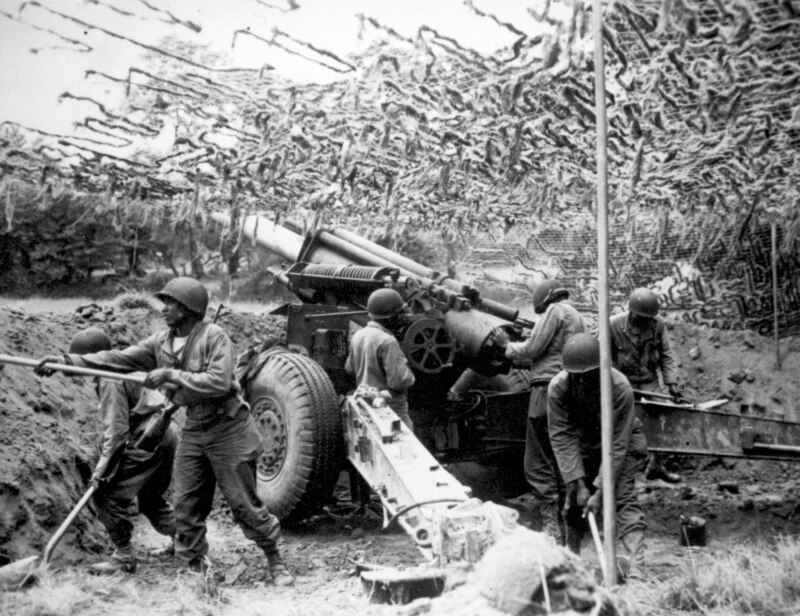 The photo below isn’t connected to the story, but when I did a Google search for the 333rd Field Artillery Battalion this photo from the National Archives came up. I have three cats and I hate them! I mean, I love them but I hate them and it is getting harder and harder to remember why I loved them. So I have to come to the conclusion that, after they are dead, pets will be banned from my household – forever. Pets are often cute and cuddly. I can understand this as a motivation for getting a pet but that wears off pretty quickly, usually after the first couple of weeks and reality sets in. The “cuteness factor” is typically overwhelmed by the fact that pets are work and they don’t take care of themselves no matter which pet you get. More on that later, just keep reading. Just a few of the offenders. I can also understand having a pet as a companion, but this motivation has some serious downsides to it. First, a pet isn’t a person so don’t treat it as though it is one. If you must talk to it, do it in the privacy of your own home because there isn’t really a need for everyone to think you’re crazy. Don’t buy stuff it doesn’t really need, and of course they didn’t WANT it in the first place – especially clothing, they already have that. Americans waste a disgusting amount of money pampering their pets. I don’t really want to go there, but if you want to see how much you can look at this article. Second, not everyone in your life appreciates your companion so don’t take it anywhere. It was for you to enjoy in your home because you were alone and maybe that makes you sad. However, when in public, your pet isn’t enjoyed by most so please don’t take them to the store, park, hospital, beach, restaurant, mall, gas station, parking lot, or any of the other places I have seen them. Also, don’t take them to a place they were not specifically invited. Showing up at a friend’s house or at a relative’s house and expecting them to accommodate your pet is simply rude. I love you but if I have to make a choice between you and the pet, don’t come over. Finally, please don’t take them in the car with you. They shouldn’t be sitting in your lap or on your shoulder so they can see out of the window. That is just stupidly dangerous. 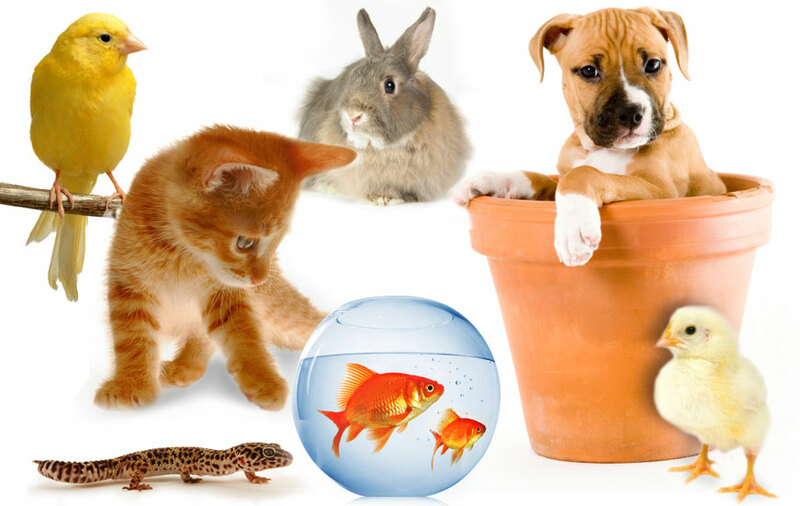 I have thought about this for a while, after all, I grew up around many different sorts of pets and I just can’t come to a point where I can think of a good reason for having them. I have often pondered if I would get another pet after my current ones have been disposed of, and every time these thoughts come up I find myself remembering all the negatives associated with the pet I was very briefly contemplating. So, I offer you the list of discouragement that comes to my mind to remind myself why I don’t want any more pets. Perhaps you are battling a significant other or maybe you have kids that know how to beg and plead to soften you up enough to even consider it. Feel free to use these justifications as ammunition to shoot down and defend against their pleadings. Dogs: Because they are briefly cute when young and possibly loyal to the point of stupidity, there are no other redeeming factors for getting a dog. Sure, you can even teach them a trick or two, but that novelty wears off with time too. Beyond that, they have to be walked or exercised constantly and they can’t do it themselves or they get in trouble. If you don’t exercise them, they poop or pee in the house or they destroy stuff because they always have to have something to chew on. You have to let them out to poop or pee, so they do it in the yard, destroying the grass, and you have to go out and clean it up or run the risk of stepping in those landmines. You also have to do it in foul weather, another downside. There is hair to always clean up. They like to sit in your lap, regardless of their size. They want to sleep with you (GROSS!). If you have a big dog, they eat mountains of food, which of course turns into mountains of poop. They slobber on everything, have bad breath, howl, bark, whine, need their claws clipped, and can’t be left alone for more than an hour without destroying stuff. If left in the yard, they dig holes and escape causing people to worry and hunt for them at all times of the day or night. If you leave town and don’t take it with you, someone has to care for your pet because they can’t really fend for themselves. Fleas – don’t need to say more. Cats: Again, they have the cuteness factor going for them when they are young. And, yes, they can be warm, soft, and snuggly. Beyond that, they are useless. The list here is long and I get more irritated as I think of them. Here goes…cleaning up hairballs and vomit. Not a single redeeming thing about that, EVER. There is cat litter in a box, thrown out of the box, and also tracked all over the house, which means cleaning the litter box on a daily basis (if out of town, you have to find someone to clean it for you – and feed them too). If the cat goes outside, they poop in the flowerbed and now your weeds stink too. Cat hair – on the furniture, on the bed, on your clothes, in the carpet, laundry, in balls that roll around the house with certain times of the year is worse than others. They apparently also have to be fed. Again, fleas. The constant licking as they clean themselves. You step on them in the middle of the night because lying in the middle of the hall is a good place for a nap or trip over them because standing right next to you is required in cat etiquette. Fish or other aquatic dwellers: These pets might require the least amount of work, but it’s still work. The water in the tank evaporates so you are adding water all the time. The aerator makes noise. Algae and fish poop (yes, they poop) collects at the bottom of the tank so the tank has to be vacuumed out (takes a special device) and it stinks. You are usually wet (up to the shoulder depending on the size of tank) after this. They still need to be fed and fish can be fairly fragile as well so you have to worry about them dying. That usually leads to the uncomfortable meeting around the toilet as everyone says a few words about how they will miss the fish. Reptiles: As far as I am concerned, there are no redeeming factors for having reptiles as a pet. Lizards, snakes, turtles – not cute, not cuddly. They are boring to watch, with very few exceptions. They take food and a heat lamp (I see huge electricity consumption here). They STINK in almost every case. Birds: I have been around a few of these as pets. All I could think was “Man, they are noisy!” and it is incessant! They flap their wings and the little seeds you feed them spread themselves out all over the room. You can’t let them out of the cage to “play” with them for fear they will fly away. They poop – a lot! They stink, which is weird because you don’t think of them as being dirty. You have to clean the cage. They aren’t cute and snuggly. Horses/ponies/large animals: Large animals may have some entertainment or work value, but as a pet I don’t see anything but work and huge expense (never mind they can cost lots of money to even get started). Starting with the place to keep them, you need a field (property) and a barn (large building). Both of these, right off the bat, keep most people from even being able to attempt this one. Then to feed them you need grass, and lots of it! They can graze, but that only goes so far. You need grain or hay for them in the winter to round out their diet because the grass gets a little thin during the winter, either from lack of growth or it is covered in snow. To take them somewhere you either need to ride them (not real practical) or have a big vehicle to haul them in (there is limited places to take them anyway). They can be very temperamental to the point that they could actually hurt you very badly. You need lots of specialized, expensive equipment to enjoy them. Just doesn’t seem worth the investment for the amount of enjoyment obtained. My last point in the argument really could apply to all the animals, except maybe the fish, because they all have medical expenses. The veterinarian bill for animals is just downright ridiculous! I once had to take a cat to the vet because something was wrong (who knew their digestive tract was so sensitive just from a food change?) and we couldn’t figure it out. Nearly $600 later the cat was feeling better but my wallet wasn’t. Mind you, that was just for treatment and an overnight stay to make sure the treatment was going to work. Also keep in mind that the cat got more healthcare money than I spent on myself that year. Turns out, it would have been cheaper to just put the thing down -$110 for a “sleeping cocktail” – why is THAT so expensive?? So, enough with the pets already!